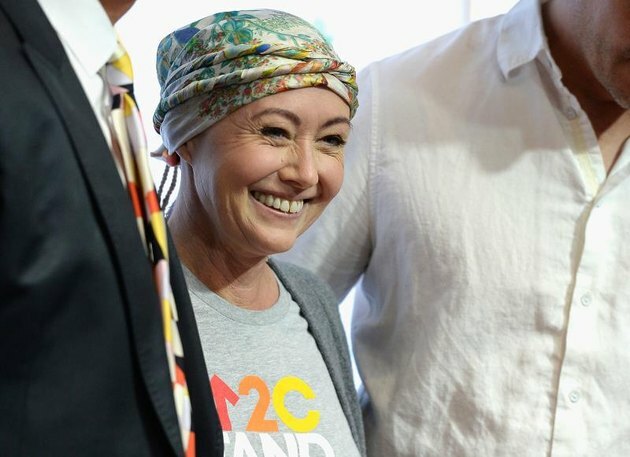 Ever since Shannen Doherty inspired us by opening up about her breast cancer battle in a series of moving Instagram posts, we’ve been in her corner. In a recent, heartbreaking interview, she shared that her cancer has spread to her lymph nodes and that she’ll need chemotherapy and radiation to battle it. But in typical badass fashion, Doherty shows her indomitable spirit in a series of Instagram videos. While most people would let the grueling treatments get the best of them, Doherty decided to stay positive and active post-treatment, explaining via Instagram that just keeping moving can help with the healing process. And what does Shannon Doherty do to keep moving and stay positive in the eyes of such a terrifying disease? Shake her booty like a boss. These latest posts by Doherty show us the immensely impactful way social media can raise awareness and help support systems for the times that are hardest for those battling an illness. Have you or a friend battled cancer? How did you stay positive in the face of illness? Do you think “just moving” can help after chemo? Let us know your thoughts in the comments!